In Turkey, the “Taste of Fethiye” project, linking small-scale local farmers with nearby hotels, has been handed over to local culture and tourism NGO “FETAV”, which plans to extend the scheme beyond fresh fruit and vegetables next year. In Mexico, the “Muuch Kaab” cooperative of Mayan women – who produce honey-based products while looking after the endangered Melipona bee – are launching a new range of natural toiletries and after-sun products for hotel rooms, souvenir shops and other outlets, with a three-year business plan for growth. Both projects have been supported by the Travel Foundation and its industry partners for over half a decade, and are award-winning examples of linking local producers to mainstream tourism supply chains. The Travel Foundation has worked hard to ensure long-lasting benefits to the communities involved, following the end of its direct support. 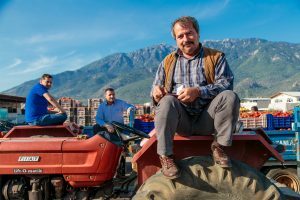 Increased revenues for the local producers – for example the Taste of Fethiye farmers grew their revenue by 24% between 2012 and 2014, and the honey cooperative achieved over £17,000 in sales in the first three years. Changes in business practices – three major hotel chains in Mexico have changed their procurement policies to enable them to more easily purchase from community-based enterprises. 16 hotels continue to purchase Taste of Fethiye goods. Increased local capacity – through training and product development, and creating supportive structures, such as using a distributor with fair trade principles in Mexico. Environmental benefits – including the revival of Maya beekeeping and habitat conservation to help increase the endangered Melipona bee population, and the introduction of best practice farming methods that has reduced the need for pesticides and other chemicals. The Travel Foundation will continue to monitor progress across both projects and will also continue to have a presence in Mexico and Turkey through existing and new projects. Any travel business can support the work of the Travel Foundation and help to shape a better future for tourism – and with next year being the UN’s Year of Sustainable Tourism for Development, there’s no better time to start.